Are you looking for an amazing Instant Pot dessert? Here’s a list of 20 Instant Pot dessert ideas that I’m drooling over. Which one will you try first? I have a bit of an obsession with my Instant Pot. I feel like I am constantly discovering new things I can make in it. It never ceases to amaze me how much can be done with it! 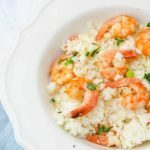 So far, I have stuck to main dishes like my Instant Pot Mongolian Beef or sides like my Instant Pot Spanish Rice. My next foray will be into desserts. I have seen so many beautiful pictures of Instant Pot dessert ideas that I just have to give it a try. So I put together a list of Instant Pot desserts that I want to try. Perhaps you see one or two you want to try too? What is your favorite Instant Pot dessert to make?